A trend in tea-flavored desserts is brewing. Tea has taken a turn from afternoon sips to after-dinner sweets. And while a frosty glass of black tea or a warm mug of chamomile tea will always be classics, teas are now being used as ingredients in foods: mostly, desserts. The BBC named specialized tea flavorings as one of the top trends of 2018, predicting the steeped leaves will soon assume the same reverence in Western palates as coffee. And according to a recent report by Datassential, the flavor Earl Gray is leading the pack, appearing on ingredient lists for everything from cocktails to cake. 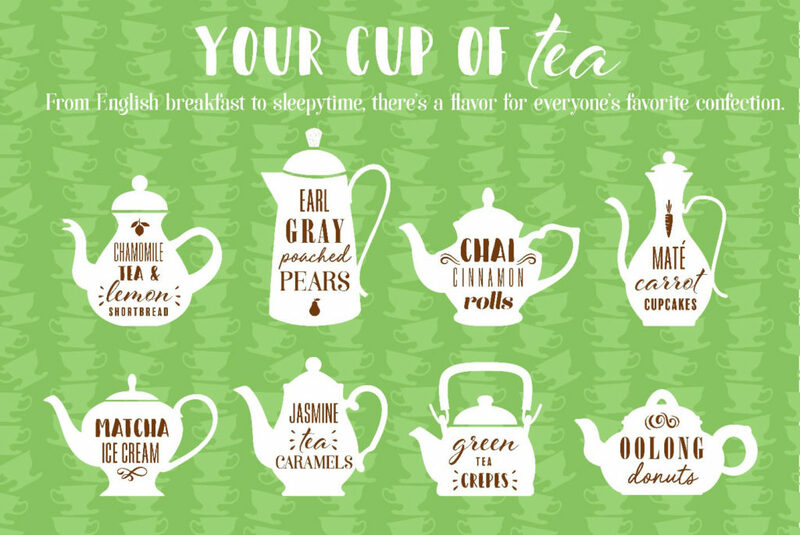 But the variety extends beyond Earl Gray to include a wide range of flavors: Matcha, jasmine, oolong, chai and more. Not only do the teas add interesting flavor to traditional treats, they add nutritional benefits (and in some cases, caffeinated oomph).